Thanks to a specially tailored design, the new Neoprene protective covers almost completely encase the riflescope to provide optimum protection. Made of windproof and weatherproof Neoprene, the outer skin of the covers is particularly elastic and is extremely easy to attach and remove. An ingeniously integrated small loop makes the covers extremely easy to use, even when wearing gloves. The covers are available in four different sizes and colors. 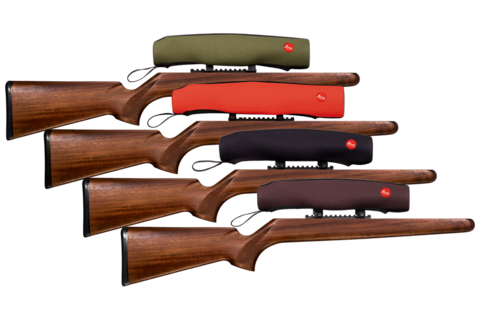 All Leica Sport Optics Neoprene products are made in Germany in collaboration with Niggeloh, the manufacturer of premium hunting equipment with an outstanding reputation for exceptional quality.